Hardwood Flooring in Belleville, IL | Convenient Financing OptionsWe have a new 800 number, but you can still call us at 618-234-2915 if you prefer. Enjoy a classy yet traditional look in your home by upgrading to hardwood flooring. Few flooring styles are as elegant and impressive as hardwood floors. 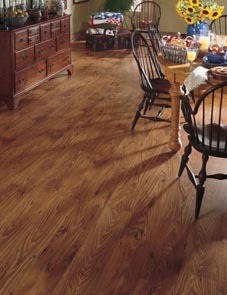 A new floor not only looks beautiful, but it dramatically improves the overall ambiance and value of your home. Choose the type of floor you want at our showroom, and we’ll even install it for you. Make everything easy on yourself by letting us provide hardwood flooring installation. From material selection and design consultations to complete hardwood floor installation services, we do it all. Most importantly, we ensure the finished project exceeds your satisfaction. Collins can provide cleaning products to keep your Armstrong Hardwood Floors in excellent condition. Contact us to learn more about our excellent selection of hardwood flooring.We proudly serve homeowners in the communities of Swansea, IL and Belleville, Fairview Heights, O'Fallon, Shiloh, Mascoutah, Scott Air Force Base, Freeburg, Millstadt, Caseyville, Collinsville, Maryville, Glen Carbon, Smithton, Waterloo, and the surrounding Metro East community.